TITANGRINDER is a CE approved belt grinder. Born from the friendship between a knifemaker and a mechanical engineering worker with accumulated experience in the field. 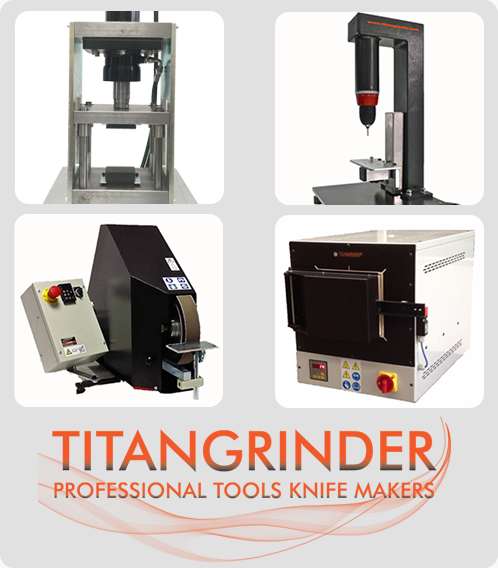 Both, after numerous researches at national level and not finding a product that could fulfill their needs, decide to design TITANGRINDER.TITANGRINDER is made out of the best materials, paying attention to the quality of every component, and more in general the mechanical construction is easily adaptable, satisfying even the most demanding knifemaker.